→What are the Best CPA Mock Exams? Taking the CPA exam is a major test of endurance. Each section of the exam is split into 4 testlets with a 4 hour total test time. Before taking the test, you really need to practice as many full length CPA practice exams as possible. This article highlights the CPA exam test structure and compares the best CPA mock exam choices to help you pass the exam. The CPA exam tests both your subject knowledge and your ability to apply that knowledge in real world scenarios. The multiple choice exam questions test your ability to recall critical information. Task based simulations and written communication questions test your ability to apply that knowledge. Each exam has a slightly different number of questions. The number of questions is determined by the AICPA and distributed in their exam blueprints guide. The number of questions by exam section highlighted below is based on the 2019 edition of the AICPA blueprints. To pass a section of the CPA exam, you need a score of 75 or higher on each section of the exam. However, keep in mind it’s not as easy as answering a minimum number of questions correctly. Each question is graded on a curve. This means that the harder the question, the higher the weight given to a correct answer. This means that you not only need to understand the core CPA exam content, but you also need to practice taking as many hard questions as possible. The easiest way to practice hard test questions is to take multiple mock CPA exams and frequently practice test questions as often as possible. There are two primary skills you need to pass the CPA exam. The first skill is experience answering as many hard questions as possible. The other skill is practice and experience taking full length exams under real time constraints to build your testing endurance. Practicing questions by itself won’t help you pass the exam if your not used to the feeling of time pressure answering questions for a full 4 hours. Sitting down for a full 4 hours to take a test is much different than practicing questions for an hour or two after work. It’s very important to build up your ability to remain focused for that amount of time. This is especially true in a world filled with constant distractions. This means that if you really want to improve your concentration and focus, your also going to need to hide your cell phone when your studying. Selecting the right mock exam requires a few considerations. The first consideration is whether to select a larger bundle of study material or if you just want to purchase access to extra practice exams without the additional study material. The benefits of a larger product bundle are that you get access to all the core study products you might need including, text books, video based lectures, comprehensive test banks, and customized study programs. The one main consideration is the bundles are available at higher price points. We have highlighted the top bundle options below. Becker has one of the best reputations in the CPA test prep industry. However, that reputation comes at a more premium cost. If passing the exam is your most important objective and you want the best possible resources to pass, we strongly recommend Becker’s Bundle which covers all 4 sections of the CPA exam. This course bundle includes 3 full length mock exams for each section (12 mock exams in total) and access to 6,200 multiple choice questions and 300 task based simulation questions. The core study materials includes comprehensive text books for all 4 sections along with over 100 hours of video based lectures. If you want to save some money, but still want to use Becker, you might want to consider using a single section course rather than a full sized bundle option. The individual sections include access to Becker’s full test bank which includes 2 full sized mock exams. For more information, you can read our full review of Becker. Surgent offers one of the most advanced adaptive learning platforms in the industry. Surgent’s ASAP technology evaluates your starting skill level on day 1 and continues to re-evaluate your progress every step of the way during your personalized study plan. This is a unique approach because many other course options offer an adaptive learning platform that only evaluates your progress at the beginning of your study plan. Because Surgent’s study material is tightly integrated within the ASAP adaptive learning technology, Surgent only offers its mock exams and practice questions as part of its core study program options. We do like that Surgent offers 3 versions of its primary study material that allows students to select a course that most closely meets their preferences. Similar to Becker, you can also save money by purchasing access to a single section course rather than purchasing access to all 4 courses at the same time. This is a great option for students that would like to test out the ASAP technology to see if it makes a difference in their study program. If you would like to learn more, read our full review of Surgent. Many students use one prep course that includes core study material like textbooks, video lectures, and practice exams. However, they also like to purchase access to extra practice exam questions. The reason many students like this option is because a supplemental source of CPA mock exams offers a number of important benefits. The biggest benefit is that your exposed to new test questions. This can make a big difference because you reduce the risk of seeing the same questions on the same mock exams. 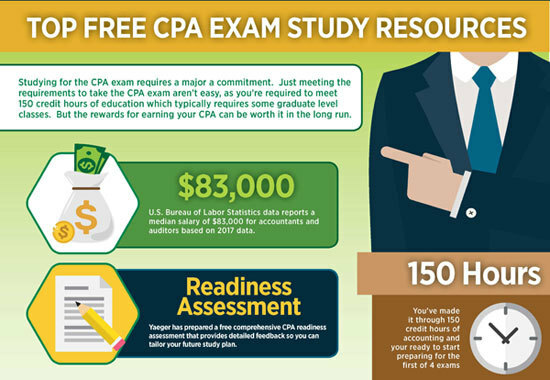 The other main benefit is that getting access to supplemental mock exams and practice questions is much less expensive than a full sized CPA review course. In most cases, the cost of extra test questions is just 10% of the price of a full review course. For most people, you end up retaining the exam material better when you practice real questions rather than simply reading text books or watching video lectures. 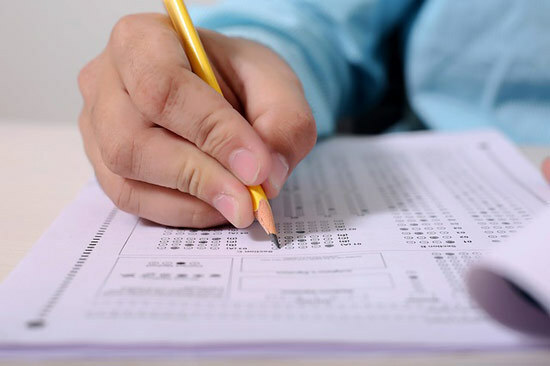 The final benefit of extra test questions is the importance of practicing hard test questions. Because the CPA exam is graded on a curve, correctly answering medium and hard questions is vitally important to passing the exam. Using supplemental practice questions is a great way of practicing a large amount of difficult test questions. Universal offers one of the best dedicated test bank options on the market at a very competitive price point. They also use AICPA approved test questions as part of their practice question database. You have the option of taking individual practice questions or taking full length exams. You can easily adjust the difficulty level so you can focus on improving your ability to answer certain question difficulty levels. Universal’s practice questions include over 4,200 multiple choice questions and 200 task based simulation questions. We also really like how all products are available until you pass the exam. Yaeger has been a CPA exam prep provider for over 40 years. They have a long tradition of successfully preparing students to pass the CPA exam. Yaeger offers two primary options. A comprehensive product bundle that includes a full set of textbooks, 120 hours of traditional classroom lectures, an extensive database of practice test questions, and unlimited mock exams. If you already have access to core study materials, you can also purchase access to Yaeger’s test questions at a significant discount from the full size review course option. We really like that Yaeger’s test bank database includes over 4,000 practice questions that can be customized into an unlimited number of practice exams. Yaeger’s practice exam is structured to mirror the environment you would see on test day. This includes everything from the time clock to the same resources and materials you can use when you take the exam at a test center computer. Yaeger’s test bank is available for all 4 sections of the exam or you can purchase access for just a single exam section at a discount from the cost for all exam sections. Wiley is another well know CPA exam prep provider that gives students access to comprehensive study tools as well as to supplemental practice questions and mock exams. Wiley’s dedicated test bank product includes access to over 6,000 multiple choice questions and 200 task based simulation questions. The software allows you to fully recreate the actual test day environment and customize the question difficulty levels. Wiley’s test bank software is an easy way to sharpen your skills with the hardest available question types to give yourself the best chance of scoring well on the harder question types. We also really like that you have the ability of purchasing access to a single section of the exam or all 4 sections. Wiley’s test bank gives you a full 2 years of access from your purchase date. To read more about Wiley, we have a full review of all course options.